Quli-llahumma Maliku l-mulki, tu’ti l-mulka man tasha’u wa tanzi’u l-mulka mimman tasha’u wa tu, izzu man tasha’u, wa tudhillu man tasha’u, bi yadika l-khayr, innaka ‘ala kulli shayy’in qadir. Tuliju l-layla fi n-nahar, wa tuliju nahara fi l-layl, wa tukhriju l-hayya mina l-mayyit, wa tukhriju l-mayyita mina l-hayy, wa tarzuqu man tasha’u bi ghayri hisab. Say: O Allah HuMa, Master of the Kingdom, Thou givest the Kingdom to whom Thou wilt, and seizest the Kingdom from whom Thou wilt, Thou exaltest whom Thou wilt, and Thou abasest whom Thou wilt; in Thou hand is the good; Thou art overt all things Powerful. Thou makest the night to enter into the day and Thou makest the day to enter into the night, Thou bringest forth the living from the dead and Thou bringest forth the dead from the living, And Thou providest whomsoever Thou wilt without reckoning. (Holy Quran S.28: V.88)… kullu shayy’in halikun illa Wajhahu, laHu l-Hukmu wa ilayhi turja’un. All things perish except His Face. His is the Judgment, and unto Him you shall be returned…. They exist on this earth solely for the purpose of Guiding Souls to their Heavenly Realities. By Shaykh Muhammad Hisham Kabban. They maintain the discipline of shari‘ah, to build you up with daily obligations and to a level of iman and progressing to the level of Ihsan. He is on the first level and has permission to teach you and put on your tongue the talqin of dhikr. He teaches you how to remember and call upon Allah, and how to follow Allah’s orders. He gives you the first step on the road of tariqat. Like a child whose first word is “baba,” you call on who you love first. So he teaches you how to say “Allah” and to build that connection between your heart and Heavens. By recitation, you will see Allah’s signs. If you do not see them, you haven’t reached the level of what the Murshid is trying to show you. We revealed the Qur‘an and We are protecting it. He will put the recitation of Qur’an and the names of Allah and the direction to Prophet (i.e., how to recite salawat) according to your personal necessity, to reach the presence of Sayedena Muhammad [s]. The recitation of salawat varies from one person to another. They tell you which names of Allah to recite and how to recite the salawat according to your capability and necessity. The Murshid at-Tabarruk must have knowledge and power of all praises of Allah – whether spoken or silent. He must know the dhikr of every single creation that exits, both living and non-living. He also knows what your body needs to recite tasbih as every cell in your body has a certain tasbih. This Murshid knows which language and what kind of tasbih every creature makes, hearing them all at once, but never do they overlap or get confused. He knows all the tasbihs for Muslims and non-Muslims, because their bodies make tasbih regardless of whether his/her body and mind accept Islam. He receives from the Prophet’s ? knowledge precise information regarding what every living and non-living creature is doing, both in dunya and Barzakh. He also knows fully about the jinn and their favors from Allah and/or their punishments. 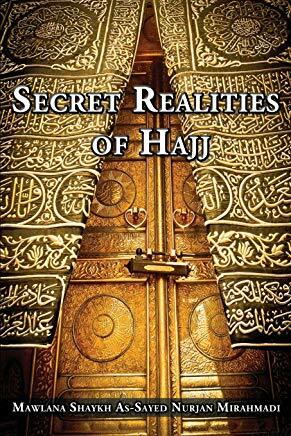 He knows precisely how every human being and jinn can attain the satisfaction of Allah, including what actions will open the doors to reach the baraka of the presence of Sayedena Muhammad [S]. He will know what Tasbih the murid needs for his body and for his soul, separately. The Murshid at-Tabarruk knows the names of all humans throughout creation, as taught to Adam , and exemplified in the verses of Qur’an, wherein Allah asks the angels if they knew all the names of creation but they did not. When He asked the question of Adam, he recited all the names of creation one-by-one. As he did so, each of their spiritual forms appeared in front of Adam. This Murshid must have inherited that power from Adam. He must know the angels of every being in creation, including the ones that record your good and bad actions, as well as the ones that monitor your food intake. He must know all the angels in service to humans. (Note: in previous times, the shift changed at Zuhr, but during Grandshaykh Abdullah’s time it changed to between Asr and Maghrib). These angels that come at shifts are expecting the murid to be performing his prescribed awrad from this Murshid. They expect to see the murid engaged in these practices when they descend, in order to pass to him/her their heavenly lights and connection. If the murid is not so engaged in his awrad during these special times, the angels cannot illuminate his or her heart. In fact, murids who don’t do their awrad are like donkeys. In return for keeping his or her daily obligations, the murid can depend on the protection of the Murshid and is guaranteed his connection to Sayedena Muhammad [S]. This connection must exist in order the Murshid to pass the murid on to the second level, to the Murshid at-Tazkiyya. reciting 500 times salawat in the prescribed fashion. The next level is reciting daily 24,000 times “Allah, Allah” and 5,000 times salawat. This is only the first level out of seventeen distinct levels of the Murshid Tabarruk. Grandshaykh stopped at just this first level because he said people’s minds couldn’t carry more than that. After all seventeen levels comes the Murshid at-Tazkiyya. In other Naqshbandi chains other than our Golden Chain, there may be a physically different shaykh for each of the four levels. In some cases, a shaykh can carry two or three levels before another shaykh physically takes over. However in the Golden Chain, the Shaykh of this time has authority and power to govern all four levels for every murid. That is why once a person takes bay’ at‘ in our way, they will never need another Murshid. Nowadays, our Shaykh just wants us to realize we are incapable of doing anything of value. The worse we think we are, the happier they are with us. He wants us to know that never will our ‘amal take us anywhere, and that the only chance we have is the intercession of our Shaykh. Therefore, we must constantly ask for his forgiveness and mercy. “You must always keep three nails tacked to your forehead (i.e. remember these three rules at all times if you want to succeed in tariqat). The most important instruction is, if one completes these three actions consistently, Allah will send the angel Reeha Sibah, who will carry the murid to the Divine Presence! He will do this for us because we obeyed Allah by obeying our Shaykh, and His Mercy is Infinite and He may do as He pleases. We will reach the Divine Stations not because of our ‘amal, worship, or any sacrifice, but because of our level of surrender. but only the ones who strive in Allah’s Way will actually see and hear in that Ocean. For the special ones who fulfill their obligations, visions and sounds will open for them. You must never try to be proud of completing your obligations, no. Realize it is worth nothing, but offer them obediently and humbly, knowing that without your Shaykh you are a loser. The second category is Murshid at-Tazkiyya. He guides you in a cleansing process called tazkiyat an-nafs. How does one clean one’s self? What kind of struggle must one go through in order to achieve control over one’s desires? It is very difficult to fight one’s self. It is easy to fight one’s enemy because you know he is your enemy, but your self will never tell you it is your enemy. I will guarantee him paradise. Desire is whatever comes and goes from the mouth and whatever proceeds from sexual desire, shahwat al-haraam. Jihad an-nafs brings control of such desires. Your self will never allow you to control it. It is always in a fight with you. The tongue always desires the best food. In struggling with the self, first is the desire for food. You want the best kind of food, always seeking more types of food. If you have ten, you want twelve. Always the eyes are hungry! The Prophet [S], along with the sahaba, most frequently ate leftover sauces of meat, without any meat. They dipped the bread in the sauce, considered it a great meal, and they were happy, Alhamdulillah. Nowadays, oh! We want so many foods, shipped from other countries, to make exotic dishes of every kind! So, at this level, prohibiting your tongue from eating what is forbidden and even from overeating, is essential. Backbiting, lying, spreading mischief and planning conspiracies – all this is through the tongue and must be avoided as it is from shaytan. Anyone indulging in these practices becomes like a peacock ‑ arrogant. Pharaoh became so arrogant, saying, “I am your Lord most high.” He did not see anyone higher than himself. The Murshid at-Tazkiyya destroys these desires. How? By showing how to follow in the footsteps of the Prophet [S]. The self consists of four enemies: nafs, dunya, Hawa, and Shaytan. Everyone has these four enemies attached to him, without exception. The Murshid teaches you to struggle with these enemies by following the sunnah of Prophet Muhammad [S]. In addition, the Murshid at-Tazkiyya has complete knowledge of the four Islamic schools of thought. He must know the biographies and all the legal rulings, scholarly opinions and religious teachings of Imam Abu Hanifa, Imam Malik, Imam Shafi‘i, and Imam Ahmed. In order to guide the murid, this level of Murshid has complete spiritual access to all that these four legendary imams brought, and is he able to follow them without any mistake, or else he cannot guide you. 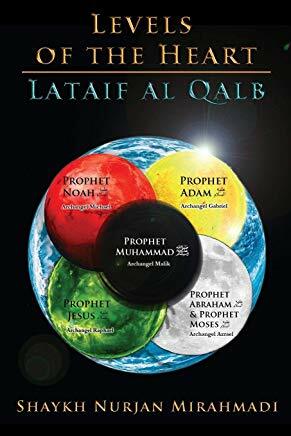 All the qualities of a Murshid at-Tabarruk must be held by a Murshid at-Tazkiyya and on top of that he must have knowledge of the four schools of thought, and he must possess an ijaza. Present-day institutions ignore this tradition by awarding PhDs. From the beginning of Islam until thirty to forty years ago, there was no PhD, there was only ijaza – permission. The Shaykh acknowledges the student has completed their studies under his tutelage, and authorizes them to teach. The Shaykh must receive his ijaza from a previous shaykh, going back in a chain that reaches to one of the four imams. This system has been completely destroyed within the past fifty years. Now Islam is studied in university systems which have no relationship with how Islam has been taught for fourteen centuries. That is why today’s scholars have no light, but only interest in wealth and titles in which previously scholars had no interest whatsoever. Scholars of the past sat in the mosque’s corners, teaching their students the love, the moderation, and blessing of Islam. These days some scholars are teaching how to fast, how to create disasters, cutting and pasting from Qur’an and Hadith, teaching their students to spread confusion. Why are Muslims not successful? Because they are very far from their religion. People like us, we are not leaders, and we are not presidents. We cannot bring change. Those who can make a change are far from Islam; they are Muslim by name alone. The Murshid at-Tazkiyya begins with la ilaha ill-Allah. What did the Prophet bring first La ilaha ill-Allah. When that kalimat is established in the self, how can the four enemies attack you? When you believe in that, and hold firm belief in Akhira, you cannot commit any wrong. We say it only by tongue, but not by action. If we say it in truth with our tongues and our actions, Allah and his Prophet will support us. No prophet was harmed by his people, as I was harmed by my people. He was the best of messengers, but Allah sent him difficulties to observe his constitution and consistency. 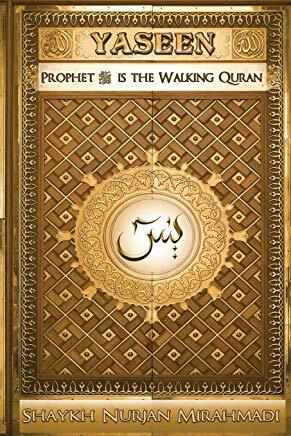 Therefore la ilaha ill-Allah was only established with the Prophet, as he was the perfect one to carry it. If one of today’s scholars was to lift one foot from the earth and fly, he would become so arrogant, and people will begin to worship him. The Prophet [S] went into Isra and Mi’raj. In a physical body built according to the laws of this world, he traveled against the laws of this world, to Heaven and back, and he was never arrogant. He was the simplest person. He never raised his head. Now if someone is lifted not even off the ground, but just onto a chair, he becomes so arrogant that he will not even accept the visitor who knocks on his door. Don’t refuse to open your door! The Murshid at-Tazkiyya is the one running after Allah. Allah sends to him sincere servants, running to sit with him. The first thing he teaches is la ilaha ill-Allah, to establish perfect tawhid in his followers. When that is established, then they can say “Allah, Allah”. Then they can bear witness: ash-hadu alla ilaha ill-Allah wa ash-hadu anna Muhammadan Abduhu wa Rasuluh. That is when they make true shahada. His job is to put on your tongues isma al-jalala, “Allah, Allah” at least 24,000 times. Some might say that will take all day. Try it tomorrow, and tell me how long it takes. It does not take longer than one hour, but more likely half an hour. And after that say 5000 salawat on the Prophet. That takes half an hour. So the total for both is one hour! It was tiring. Although I never completed the daily reading of thirty juz of Qur’an, I did reach 700,000 “Allah, Allah”, 48,000 salawat and fifteen juz. This was in addition to all other awrad. 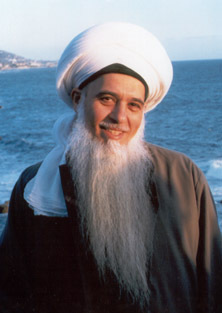 That is Murshid at-Tazkiyya. When they say, “Do it”, they send support. When you are walking in His Way, He comes towards you. It is a Qudsi hadith, “If you come to Allah the span of one hand, He comes to you the span of ten hands, and if you come to Him walking, He comes to you running.” It means Allah sends His support, His power, as long as you show progress. If we show progress, Allah will send support. May Allah send us His support. A Murshid at-Tazkiyya has acquired all the characteristics of a Murshid at-Tabarruk. He has the method, the way, and has inherited the secret from the Prophet [s] to perform a cleansing process on his followers through the disciple’s struggle with his or her inner self. The Murshid at-Tazkiyya must be someone who always keeps the sunnah and the shari’ah of the Prophet in the highest way, keeping al-‘adheema. He is aware of any thought that comes to his mind that does not coincide with the four schools of thought, and he prevents it, as he has been raised to the station that his entire heart and mind are directed by the four schools of thought, following the sunnah of the Prophet. He has been granted the permission to instruct and guide his followers to call upon their Lord in tahlil twenty-four thousand times and by saying twenty-four thousand “Allah, Allah” and saying salawat five thousand times. When they say “Allah”, the heart and tongue will work together, like the combination of the body and soul, the combination of spirit and mind, using the physical form and the spiritual form, combining these two elements to make them seekers in the divine way. Every time a murid says “Allah” his heart rhythm and his tongue rhythm go together, flying to the Divine Presence. Until today, murids of the Naqshbandi tariqat are the beginners, so they are in the first stage. At that stage they cannot see that kind of enlightenment opening in front of them. Only under the care of the Murshid at-Tazkiyya will the mubtadi‘ move to the stage of musta‘i, in which the Shaykh will put on his tongue the dhikr that will lift him or her to the Divine Presence. The Murshid at-Tazkiyya can call upon any Naqshbandi Shaykh, alive or dead. When he calls on them, that shaykh will be immediately present through the spiritual power of the Murshid at-Tazkiyya. How many shaykhs have reached the level of sainthood through the Naqshbandi tariqat? Whichever one the Murshid at-Tazkiyya calls, living or non-living, they must appear and fulfill whatever need he has. From the power Allah has given to the Prophet , he in turn grants to the Murshid at-Tazkiyya, for that Murshid to know all awliya-ullah in every century, by name and by spirit. Further, he has a relationship with them, because he needs them and they need him. He must know the extent of their knowledge, and from what fountains of knowledge they are quenching their thirst. At any specific moment, he must know what knowledge that wali is receiving, and for what hikmat and purpose they are receiving it. In addition, he must know every wali among them, and from which prophet he inherits his secrets, for each wali is on the footsteps of one of the one hundred twenty-four thousand anbiya, according to the hadith al-‘ulama warith at-al anbiya. Another specialty of Murshid at-Tazkiyya is that he is constantly aware of the attacks by the four enemies on each of his followers. Allah grants him a power to be with each of his murids, to ascertain which of the four enemies are attacking and tricking them. At that time, he will grab the enemies and prevent them from attacking his followers. In his company, his followers will reach the station of zahid in this life. They become devoted purely to building up a perfect and ideal society, community and nation, in which no one discriminates against any of Allah’s creation. Whenever any of his followers has a feeling of laziness, tiredness, regret, depression or any other negative condition, with one word Murshid at-Tazkiyya can remove that condition and make that murid to feel relaxed. 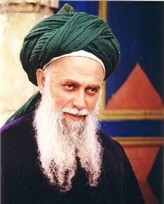 That is why when sitting with Mawlana Shaykh Nazim, it removes all burdens due to that attraction coming from his eyes. The Murshid at-Tazkiyya must build up his followers to keep the highest level of the shari’ah and the sunnah of the Prophet [S]. That means in addition to the obligations, the Shaykh will push his murid to carry many voluntary forms of worship. An example is a rukhsa – you have wudu and keep it until the next prayer time. You don’t renew the wudu at that time. But the second level of adheema is to make wudu at each prayer time; the higher level is to make ghusl at each prayer time. The Murshid at-Tazkiyya must hold the power to give the murid real dreams. In my experience, many people come and say, “I saw a Shaykh in my dream. He looked like this (describing him) and gave me an item from Sayedena Muhammad .” Later, they encounter the Shaykh physically, or they see his photo on the Internet, or they see a murid of the Shaykh in a dream when they did not know him. Then they meet that Shaykh later, and realize they previously met him in the dream. The Murshid can reach anyone in the world through dreams and visions. People can become followers through dreams and visions, devoted to follow the way of ahl as-sunnah wal-jama‘at at the highest level, even taking orders from the Shaykh through dreams and visions. Such is the power of the Murshid at-Tazkiyya. Allah can stop the murid from inhaling or exhaling. This means that in every second, with the baraka of the Murshid which he takes from the Prophet [S], the murid will remember his Lord with every breath. Now for many of us, breathing is something the body does automatically without our awareness. We talk and we are breathing, unaware. We don’t remember it. When we dive in the sea, then we remember, to go up to the surface and take a breath of air. They then remember on every breath to say “Allah, Allah” when exhaling and inhaling, and remembering Allah through His attributes, “Hu, Hu, Hu” or through His other names, depending on the time of day and condition. Each inhalation and each exhalation is with one name of Allah. With every inhalation there are ten angels accompanying that breath, and ten with every exhalation. Each angel is created with a different light from Allah’s Lights. Grandshaykh said that nine-tenths of that Light is from Sayedena Muhammad [S] and one-tenth is from the Light of creation. We cannot be from Allah’s Light; that is impossible. We are servants of Allah and cannot share in His Light. Each inhalation and exhalation is with nine-tenths of the Light of Prophet and one-tenth from bahr al-qudra. The awliya say that human beings have twenty-four thousand breaths in twenty-four hours. Every inhalation and exhalation must be with dhikr-ullah. Only the Murshid at-Tazkiyya can put that on your tongue. Each breath is on dhikr-ullah, but you are heedless of it. If you reach a higher level, you will have awareness of each breath. Once you reach the level that you are aware of the twenty-four thousand breaths, the Murshid will increase that awareness to seven hundred thousand times per day. That is called the power of ta’i al-Lisan. They expand time in order to allow you to call upon your Lord seven hundred thousand times, by stretching time, without making that time bigger, but by increasing it with the power of the tongue, just as Allah can make the entire world go through the eye of the needle without making the world smaller or the needle larger. That is from haqiqat at-ta’i- one of the 6 realities in the human being. The reality of shrinking distance is within the human heart. For one who has reached this level, they only need to say “bismillah ir-rahman ir-raheem” and can be at any location on earth within an instant. How do they do that? Now you move with your physical body. The body is restricted with the laws of physics of the world, gravity, etc. When you move, you move with that ability. You use a vehicle, such as a car, which has physical power to carry you. To go faster you use an airplane. It has a more powerful engine that carries you. So why are we not stunned, when we can fly a distance that, for example, a century ago it took three years to reach, say from China to Mecca? If at that time you said, “Something will one day carry you in the air,” people would have laughed at you. 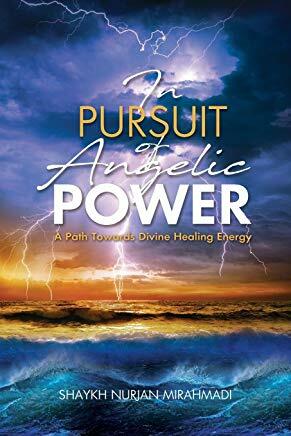 So awliya-ullah found a more powerful energy that can carry you: the energy of the spirit. The car and the plane use fuel from deep within the earth. It was secluded by itself and it became energy, whereas it had previously been something else, and Allah knows what. Spirit is related to heaven. So Allah knows what kind of energy that contains. When awliya want to move, they take the body and put it in the spirit and then move with the speed of the spirit. Then when they arrive, they take the body out of the spirit and the spirit enters the body. Why can we accept that with an airplane, but not with the body and spirit? That requires a foundation of belief in the unseen. Awliya use that same power to shrink distances. Energy can carry anything. To lift a two-ton block of iron, you bring a crane, and with a small engine it can lift it. Why do we look at that power of the spirit as non-functional? You can make use of it, by using the power developed by saints. Ta’i al-lisan is similar to ta’i al-makan. If you want to make dhikr twenty-four thousand times, you can by repeating “Allah, Allah” with every exhalation and inhalation. If you want to make dhikr on beads, you can reach, for example, two hundred thousand recitations by normal tongue. But to go to seven hundred thousand times you need ta’i al-lisan. With the Murshid at-Tazkiyya’s power, which he receives from the Prophet [S], he can make you to say “Allah, Allah” seven hundred thousand times in one hour; for some murids in a half hour; for some in fifteen minutes, and for some in one minute. How can the tongue achieve that? Under the tongue, Allah created an artery that goes directly to the heart. If the darkness, by means of the murids progress in following the murshid’s orders, is removed from the tongue and the heart, you become nurani, and at that time you are no longer the body, or the tongue, but you are using the Light, which relates to the heavens. Anything related to heavens can do anything; nothing is impossible, there are no limits. People’s minds relate to the earthly world. My saints are under my domes; no one knows them except me. ? Murshid at-Tasfiyya is the third level of Murshid, above the levels of Murshid at-Tazkiyyat and Murshid at-Tabarruk. Murshid at-Tabarruk is the first level of sainthood in the Naqshbandi Sufi order. The second level, Murshid at-Tazkiyyat, must include all the aspects of Murshid at-Tabarruk and similarly Murshid at-Tasfiyya carries all that Murshid at-Tazkiyyat and Murshid at-Tabarruk carry. All the characteristics of the preceding levels will be reflected on that Murshid at-Tasfiyya. They are zahid. It is enough for them to eat a little, drink a little, and their life consists of worship and guiding people. Murshid at-Tasfiyya is zahid fid-dunya as well as zahid fil-akhira. That means for him paradise is not his goal. Many people ask for everlasting paradise, jannat al-khuld. However paradise is not the goal of awliya-ullah; they must be ascetic. Their only goal is their Creator. Whatever is other than Allah means nothing to them – maa siwallah. Everything that Allah has created is maa siwahu. Allah is the Creator and everything else is His creation. Awliya-ullah at that level are not interested in acquiring anything that Allah created. Their love is only for Him, and for them akhira is no different than dunya. For us, akhira is our hope and our goal. For them Allah is their hope and their goal. After people have been judged and sent to paradise and the fire, Allah will appear to some of the people of paradise [He will reveal Himself, descend]. The hope of these awliya is only Allah – nothing else. His entire focus through his heart cannot be to other than Allah [Aza waJal]. If for one instant his Light went to other than Allah, he will be completely removed from the Divine Presence. And if Allah [Aza waJal] reveals to that wali anything of the unseen high levels, stages, states and knowledge, he must not look at it. He must keep his concentration focused to reach the door of His Lord. Grandshaykh was not asked to be a garbage can to himself, rather, to be a garbage can to the lowest person he meets. You can be a garbage can to your father, your mother, your wife, your brother or your friend, but to a stranger that you do not know? And I am sure that no one accepts to be a garbage can to his father or mother. He does not even agree that he is garbage. He thinks he has the best mind and everyone else is dumb, an idiot. Even these children running around think they are higher than adults in intelligence. They want to teach us! We will not go into that story, but it means to carry the burdens of my servants. Why did Sayyidina Muhammad come as a “mercy for mankind”? Because he carried the burden of his ummah. Wa innaka la‘ala khuluqin ‘adheem. “You are of a higher character.” That is the best character. When Prophet Muhammad [S] was harmed he did not retaliate, but when he had the power to retaliate and he did not and rather he forgave, wa innaka la‘ala khuluqin ‘adheema, he is the most humble. He is the highest, but he shows himself the lowest. Now today’s people mistakenly say, ana basharan mithlukum, that the Prophet [S] was only body, flesh and soul. The fact is, Allah made him the highest and yet the Prophet made himself on the same level with anyone. While being the greatest of mankind, he lowered his head, and he did not raise it. Do you carry the burdens of each other? No. So following the way of awliya-ullah, when he went through all those burdens, Shaykh Bayazid al-Bistami asked Allah [Aza waJal], “Make my body as big as hell, so that no one will go to hell but me.” And he was sincere in his du’a. He was one hundred percent sincere in that appeal. The Murshid at-Tasfiyya’s only goal is Allah: ilahi anta maqsoodi wa rida’ ka matlubi. When the door is opened to the Murshid at-Tasfiyya, at that time Allah will reveal to him everything written on the lawh al-mahfoudh. When the Qur’an was revealed to the Prophet, it was moved from lawh al-mahfoudh to Bayt al‘izza. When a Murshid reaches that level, he will be able to know the secrets of the Qur’an that were revealed to the Prophet. “Tasfiyya” means to give up everything. An example is, when a store has a clearance or going-out-of-business sale, and all items in the store are liquidated. When a true servant of Allah reaches that level, Allah [Aza waJal] will open everything to him or her. He gives such servants power to attract their followers without saying one word – only through the jazbat, attraction of the eyes. There are many awliya today living and many that have passed away. People go to their burial places and feel their jazbat. The same can occur with living awliya, who can pull you to them without doing anything, for that power is granted from Allah through the Prophet, and is in their hearts. Allah [Aza waJal] gave that murshid a specialty to look at his followers. Every servant has been molded, when he or she was born into this world and his parents raised him. They have been molded with eight hundred thousand different bad manners that cannot be counted! You cannot count eight hundred thousand bad manners, can you? Of course not. There are eight hundred thousand spiritual points located throughout the physical body, each of which has bad characteristics of the self, the bad desire of the ego. Presently, traditional and alternative medicine practitioners recognize the physical body has three hundred sixty healing points. But in reality, there are eight hundred thousand spiritual pressure points through which awliya-ullah clean our bad characteristics. Without cleaning you of these eight hundred thousand points, before anyone can be presented to and experience the spirituality of Sayyidina Muhammad [S] or communicate with his heart, even the tasabih al-malaikat cannot be heard. Murshid at-Tasfiyya was granted the power to clean the eight hundred thousand bad characteristics. Seven hundred forbidden actions lead you to eight hundred thousand forms of bad character, and awliya-ullah are able to pull them away. By tongue you cannot classify these characteristics. The Murshid at-Tasfiyya pulls out those bad characteristics like a sieve, sifting the grain until only the clean grains (good characteristics) can pass through. Furthermore, Allah made the Murshid at-Tasfiyya to always be present with saints that have passed away from this physical world, as well as those who are living in this world. All saints are connected with him at all times, feeding him what they have and what they are doing, as he is one of the highest. He is able to look at his murid twelve thousand times a day. Every time he looks at his murid he sends wisdom to him, advice to do goodness. Don’t think that is too much! They are rare, like diamonds. Some Muslims, particularly those who were raised in the U.S., know nothing about awliya-ullah or about karamat. Most unfortunately, a majority of Muslims around the world have been brainwashed against the true Islamic heritage and traditional Islamic teachings and practices by the Wahhabi doctrine. May Allah protect us from that kind of ideology or mentality! Such is the power and scope of knowledge of the Murshid at-Tasfiyya, that from every word of the Holy Qur’an, the lowest he can extract are nineteen meanings. Sa-usleehi saqar. La-wahatan lilbashr. ‘Alayha tis‘at ‘ashr. “Soon we will we cast him into hellfire. Over it are nineteen. And we have set none but angels that are guardians of the fire.” These nineteen are special angels, guardians of the fire. mentioned as wa laa yaabis wa laa ratbin illa fee kitaaban mubeen. The Murshid knows which of the words of Qur’an are designed to stop you from falling into darkness and being thrown into the hellfire, guarded by nineteen angels. He gives you that awrad to recite daily. The Murshid at-Tasfiyya knows the awrad that is custom designed for you; for this reason you need a wali. If someone puts together a wird made from the wrong codes, it will not be effective. The Murshid at-Tasfiyya can put together from Qur’ an and hadith an-nabi recitations to clean you from your personal bad characteristics that will lead you to hellfire if they are not removed. There are five hundred ma‘muraat and eight hundred forbidden actions. The Murshid at-Tasfiyya will guide you to the five hundred orders and guide you to avoid falling into the eight hundred forbidden actions, all by that single word he assigns you to recite from the Holy Qur’an; for each individual a different word. Another characteristic that Allah gave the Murshid at-Tasfiyya: by his observing this universe he will pull out from each planet thirty-five different signs of the Oneness of Allah [Aza waJal]. 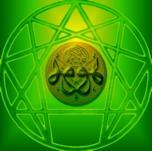 From any planet he looks at with his spiritual vision, he will derive thirty-five spiritual signs of Allah’s Oneness. Further, he can plant these different signs into the five levels of the heart – qalb, sirr, sirr-as-sirr, khafa, and akhfa. When you say la ilaha ill-Allah – it’s recitation will take you by tongue and by heart, qawlan wa fi‘lan, where you will be made to observe the oneness of Allah [Aza waJal]. Allah gave the Murshid at-Tasfiyya this miraculous power of spiritual vision that is stronger than the vision of his physical eyes. The Qutb of that time will be under his authority. Allah gives the Murshid at-Tasfiyya the power to recite on every outgoing breath and in each inhaling breath seven hundred thousand times “Allah, Allah”. He possesses ‘ilm al-yaqeen, ‘ayn al-yaqeen, Haqq al-yaqeen, and la rayba feeh. All that we have just described of the Murshid at-Tasfiyya is a mere glimpse of his station and powers. “al-‘ulama warithat al-anbiya.” All the knowledge of the Awliya is but a drop in the Ocean of the knowledge of the Prophet, which he opened to all Awliya. From beginning to end that is but a drop in the Ocean, so imagine then what Allah [Aza waJal] gave to the Prophet [S]. This series is about the Awliya of the Naqshbandi Sufi order. Those who have the chance to associate with them have the chance to benefit from them. Those who have no such chance or have not taken bay’at‘ with one such master have lost that chance. Once Grandshaykh Sharafuddin was discussing what the Awliya send. At this association were thousands, sometimes hundreds of thousands of murids in his association. One night they were sitting and a stranger came. Shaykh Sharafuddin was looking at his heart and observed that person had no chance to benefit from the high teachings normally coming in that association. To prevent that association from dropping in levels and in order to keep it at a high level, he said, “O my son. I was thinking about you.” He didn’t want to waste the time of the murids by speaking at a lower level or by getting questions, etc. which interrupt the flow. Shaykh Sharafuddin had a jubba gifted to him by Sultan Abdul Hamid. That jubba was decorated with seven hundred thousand gold coins, fully decorated with threads, etc. He wanted to show his murids that he had no attachment to it compared to the value of that association, and he gave that jubba to that stranger. That stranger was overjoyed, and at the same worried that the shaykh would take it back, so he left quickly. That is why such lectures are only for the followers of ahl as-sunnah wal-jama‘at who are holding fast to every sunnah and understanding spiritual realities. We previously described three kinds of murshid: tabarruk, tazkiyya, and tasfiyya. These three different levels can be in any tariqat. The murshid of any tariqat can reach these three levels. But the Murshid at-Tarbiyya level is only found in the Naqshbandi tariqat. Allah has granted that to the Naqshbandi tariqat. Whatever levels those mashaykh of other tariqats reach, they reach only to the level of Murshid at-Tasfiyya. But those who are Naqshbandi and have reached the level of tarbiyya have already passed the preceding three levels. Murshid at-Tarbiyya, the guide who raises up murids, in order to reach that level he has reached the level of absolute ijtihad, al-ijtihad al-mutlaq. Not only in shari’ah, but in haqiqat. That is similar in Arabic, tawkeel al-shamila, to the power of attorney. There is a general power of attorney with specific power, and more broadly, there is a complete power of attorney. And above that, in our Arabic tradition, there is wakalat shamila kamilat mutlaqa: general, complete and un-terminated power of attorney. In Islam, the Divine Law we follow, the shari‘ah, addresses life’s circumstances in broad, open-minded ways. We can separate and later divorce without ever returning to our spouse, without speaking with him or her. We can marry a person who is in absentia (not present), and join that spouse at a later time. they are given the full trust of Allah. Grandshaykh, may Allah sanctify his soul, said there are nine awliya whose du’a Allah will accept and change whatever they ask from the lawh al-mahfoudh. 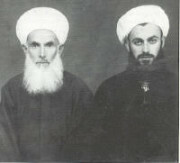 Mujtahid mutlaq in shari‘ah and haqiqat. When Grandshaykh was asked by his Grandshaykh, Shaykh Sharafuddin, to accept that level of irshad by his shaykh, he said, “If you are asking I am saying no.” Shaykh Sharafuddin said, “It is an order from the Prophet [S].” Grandshaykh said, “If it is an order, ala raasee wal-ayn. But if it is being given, then I don’t accept that responsibility. I don’t accept but on one condition.” That night in the gathering of Awliya in majlis an-nabi, Grandshaykh Sharafuddin discussed this situation with the Prophet [S]. “He is not accepting, except with a condition.” Prophet said, “Ask that condition.” The next day he went to his murid, and following the order of the Prophet, Shaykh Sharafuddin asked Shaykh Abdullah what was his condition. Shaykh Abdullah answered, “In this time there is too much darkness, ignorance, lies, deceit, poison, and cheating. In this kind of ignorance present today, it does not take one year or fifteen years or one hundred years to reach any level of achievement in spirituality. Shaykh Abdullah said, “I want a grant from the Prophet [S] that whoever sits in my gathering, listening to my talks, without doing anything on his own behalf, I am asking permission to raise him to my level. Not only that, if I speak of any wali in my gathering, whichever wali I mention, I want my murids to be granted the level of that wali. Otherwise I don’t need it.” You see the level of Murshid at-Tarbiyya? He knows we are not going to achieve anything on our own. Like a father with his child, he carries the whole responsibility. Even if they are grown up and running in the streets, parents will do the best for their child. That means the Prophet [S] is not waiting for us to progress in tariqat, as he knows we cannot do anything in this time. We are mujtahidin mutlaq, which means no one can deduce a juristic ruling from shari‘ah or haqiqat except the Murshid at-Tarbiyya; he is the highest. On top of that power, he must have gone deep enough and obtained the realities and certainties, and authenticated all the knowledge and confirmed/verified all the knowledge that is in ‘ilm al-yaqeen, ‘ayn al-yaqeen and haqq al-yaqeen. This level of Murshid is similar to digital channels as we now have, multiplexed from one satellite, signals that can be seen and heard simultaneously, and not imagined but rather reality, with complete certainty. The Murshid at-Tarbiyya does not experience imagination or illusion, but actually lives in that time or place, possessing the ultimate capacities of hearing and sight. The spirits replied, “You are our Lord and we are your servants.” At that time Allah planned every thing that every person must do in his life in his responsibilities. That was in ‘alam al-meethaaq – the World of Promises. At that time, Murshid at-Tarbiyya was there and knew it by details and when he came to the dunya still remembered that day and its details. How many Murshid at-Tarbiyya came since the time of the Prophet up to today? Allah gave him the knowledge of all awliya-ullah, from the time of Sayyidina Adam up to Judgment Day, with their names and their knowledge. This is a key specialty of Murshid at-Tarbiyya. The shaykhs are inheritors of prophets. Not these scholars of today – they are juhala – ignoramuses. ‘Ulama are pious and sincere, possessing knowledge of both ‘ilm ash-shari‘ah (law) and ‘ilm al-haqiqat (spirituality). Another characteristic given to Murshid at-Tarbiyya by Allah is that whatever changes occur on the Preserved Tablet, he knows about it. As for the twenty-four thousand breaths of each murid, that murshid will know his murid’s state and stations for each of these breaths. The metabolism, breathing, chemistry levels, nervous reactions, and the smallest capillaries, he is aware of each and every change in them. If you put the capillaries (that are smaller than a single hair) in line, they reach from earth to the moon. There are three trillion cells in the body. The Murshid at-Tarbiyya is aware of all of them. All this information, ability and power is coming from a drop of the Prophet’s Ocean. People are now playing in this dunya. That is why when they become aware of these realities they abandon their concern for this dunya. Only one dive into this Reality Ocean is enough happiness for them, in this life and in the Eternal Life. Murshid at-Tarbiyya has to know the sustenance of his murid, the knowledge of his murid in dunya, and the conditions of the murid’s body from the day of his creation until the Day of Judgment. He must know every Arabic letter, that has existed on the lawh al-mahfoudh, because it is lughat ahl al-jannat. Whatever is written there, he must know how many letters have been written from beginning to end. Not the twenty-seven letters of the alphabet, rather each letter as it appears in the lawh al-mahfoudh, one by one, is considered an individual letter. Bihurmat al habeeb wa bi hurmat al-Fatiha. For the sake of the Beloved, for his sake we recite the Opening Chapter of Qur‘an.